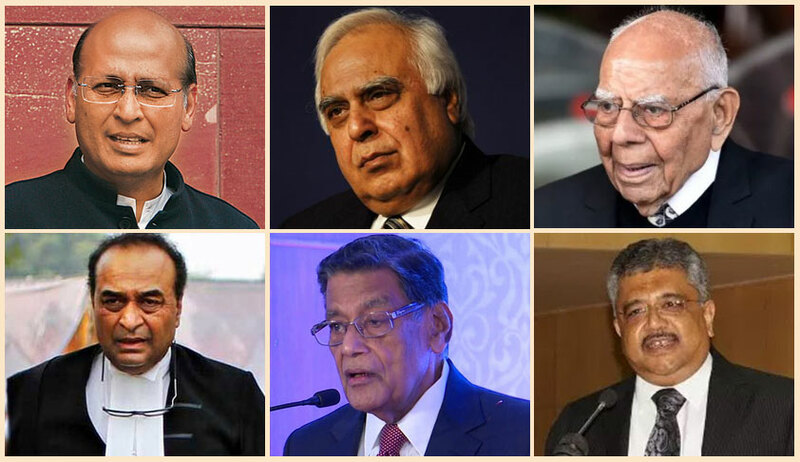 The hearing on Friday commenced with Attorney General K. K. Venugopal submitting before the Supreme Court bench of Justices A. K. Sikri, S. A. Bobde and Ashok Bhushan that the letters addressed by BJP Chief Ministerial candidate B. S. Yeddyurappa to Governor Vajubhai Vala asserting majority have been produced. “I have the majority and I shall prove it on the floor of the house...the place to do that is not the courtroom...there is no requirement for me to give any names as to who will support me...The criterion as laid down by the Sarkaria Commission is that of the single largest party having the majority with the support of others including independents...The nutshell is the mandate of the people...”, he added. He mentioned that the judgment of the Supreme Court seven judge bench in S. R. Bommai (1994) lays down guidelines to regulate the discretionary power of the Governor. “You claim to be the single largest party having the required support...this is subject to verification...there is also the letter by the Congress...where one is only claiming and the other is proving, how is the Governor to decide?”, remarked Justice Sikri. “It his job to exercise his discretion in ensuring a stable government...his role is only to check the ground realities...that here is one party that has been thrown out and there is the other party having the mandate of 95% people...”, responded Mr. Rohatgi. “The Congress list contains the names of some 79-80 persons...it is not signed...based on the instructions of certain MLAs, I believe the signed document was never given to the governor...if it so, then this petition may not proceed...”, he continued. “The main issue is that if two positions are jostling and the governor exercises discretion under Article 164, then the final fight shall be at the floor of the house...”, stated Mr. Rohatgi. “That is true...but who enters first is the question”, noted the bench. “As per the Sarkaria Commission Report, there is no dispute when any party having majority is to form the government...the dispute arises when no party has the majority...this exercise has to carried out objectively and the Governor must satisfy [unclear]...”, continued the bench. “There are two alternatives- first, that we hear at length and decide on the correctness of the Governor’s action to invite BJP and not the INC-JD(S)-BSP alliance to form the government; and second, that we direct the floor test to be held tomorrow itself and we do not allow any time to anyone...”, suggested the bench. “We are not objecting to deciding on the correctness...let there be a floor test, while we keep the larger issue open...if we are to hear now and pass a judgment, precious time would be lost, even if you get the judgment in your favour...”, affirmed the bench. “I am the governor, I receive 117 signatures along with a letter from the Congress...Yeddyurappa says that they are crossing the majority with support from ‘others’...he says that he has 104 seats with 7 ‘others’...a mere ipse dixit of ‘others’ cannot suffice...the interpretation of the Sarkaria Commission recommendation cannot be that any single largest party asserts majority without giving any details, seeks a window and still insists on being invited...this cannot and should not be the law of interpretation...can any Governor in such circumstances say that he has applied his mind and that 5 is bigger than 6?”, argued Dr. Singhvi. He added that the floor test should be conducted forthwith and with adequate security. “If it is to be held tomorrow morning, then it should be carried out without any delay”, he submitted. “So far as the court is concerned, we are here to uphold the law and the constitution...discretion may be exercised in hard cases, but in cases where the facts and circumstances speak for themselves, there is no discretion...”, remarked the bench. “I dispute those signatures”, interjected Mr. Rohatgi. “The governor never received this signed letter...the list was downloaded online that these are the 78 Congress MLAs...”, added ASG Tushar Mehta. “The Congress has passed a resolution extending support to the JD(S) and that is on record...”, countered Mr. Sibal. “Every executive that is sworn in must prima facie have the support of the majority...this principle has to be borne in mind by the Governor while exercising his discretion under Article 164(3) before the Chief Minister is sworn in...”, he asserted, pressing for an immediate floor test and no permanent speaker. “Sarkaria (Commission Report) suggests a period of 30 days, which is excessive, and 15 days (as granted by the Governor in the present case) seem to be...there should be reasonable time...the floor test cannot happen tomorrow...(‘we have to balance the equities’, observed the bench)...the balance cannot be one day...it should be atleast one week so people can come and freely vote...”, advanced Mr. Rohatgi. Veteran lawyer and Senior Advocate Ram Jethmalani also made a brief submission on his intervention-in-person, criticising the action of the Karnataka Governor and praying that the bench uphold the rule of law. He also sought to advance a submission in respect of the 2005 judgment in Anil Kumar Jha relied upon in context of the appointment of the Anglo Indian member under Article 300, When Senior Counsel P. Chidambaram prayed that no member of said community may be sworn in until the floor test. A). Pro-tem Speaker shall be appointed for the aforesaid purpose immediately. B). All the elected members shall take oath tomorrow(19.05.2018) and this exercise shall be completed before 04.00 p.m.
C) The Pro-tem Speaker shall conduct the Floor Test on 19.05.2018 at 04.00 P.M. in order to ascertain the majority. D) Adequate and sufficient security arrangements shall be made and Director General of Police, State of Karnataka will himself supervise the said arrangements so that there is no lapse on this count whatsoever.